Kakuro is an amazing, free program also available for Pocket PC, that is part of the category Utilities with subcategory Dashboard Widgets. It's available for users with the operating system Mac OS X and former versions, and it is available in different languages such as English, German, and Turkish. The software version is 1.20 and the latest update was on 4/19/2007. Since we added this software to our catalog in 2007, it has already achieved 699 downloads, and last week it gained 0 downloads. Kakuro is a light software that requires less storage than the average program in the category Utilities. 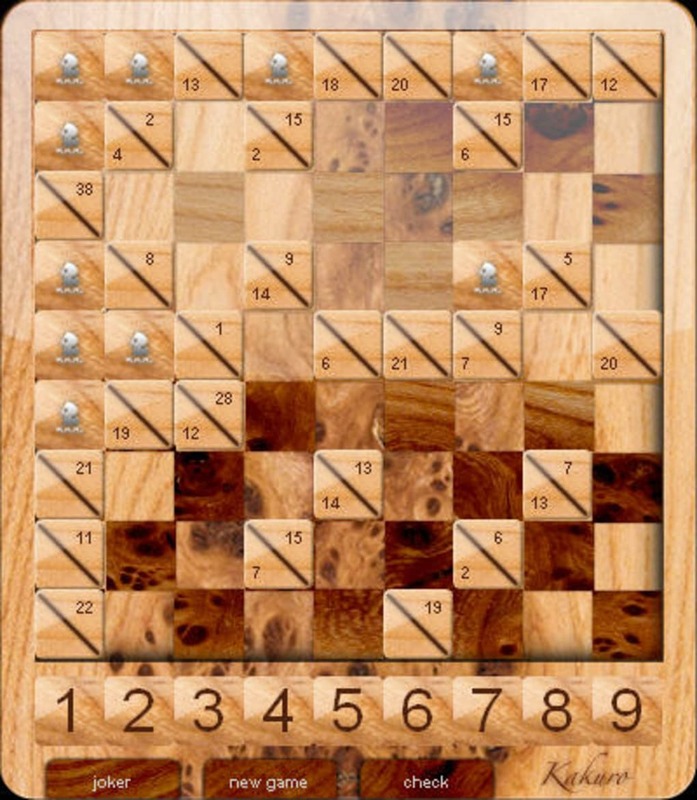 Kakuro is a kind of logic puzzle very similar to Sudoku and it has the following rules. You have to place the numbers from 1 to 9 on the board. In every summation a number has to occur only once. Select a number from the number row on the bottom by clicking on it. After the number is marked you can insert the number at the preferred place by clicking again. You can remove an inserted number by clicking on it. What do you think about Kakuro? Do you recommend it? Why?